Here's a list of "basics of tarot" posts to help you get started with interpreting the cards. A standard tarot deck contains 78 cards, which are divided into two sections: Major Arcana - "the great secret", containing cards about big life lessons and destiny; and Minor Arcana - "the small secret", containing cards about everyday feelings, thoughts, actions and behaviours. There are 22 Major Arcana cards (numbered from 0 to 21) and 56 Minor Arcana cards, which are divided into suits like regular playing cards - which is not a surprise, given that both tarot and playing cards share the same origins. Cheat sheet 1 - how to read Minor Arcana pip (number) cards? 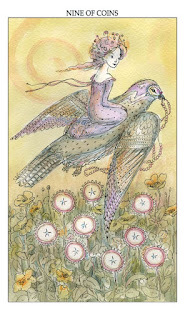 9 Coins or Pentacles, a Minor Arcana pip card from Paulina Tarot. 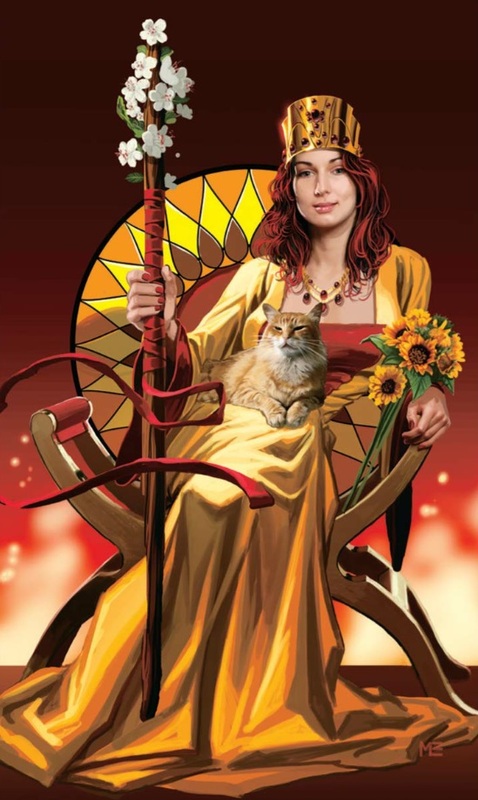 Cheat sheet 2 - how to read Minor Arcana court ("royal family") cards? Queen of Wands, a Minor Arcana court card, Witches Tarot. Cheat Sheet 3 - How to read Major Arcana cards? 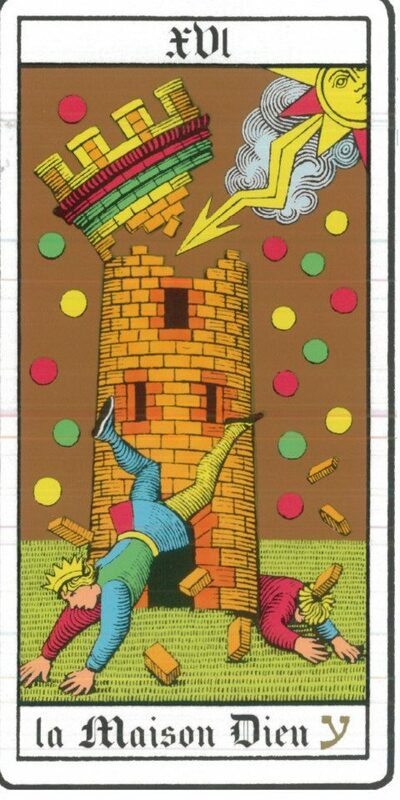 Tower, a Major Arcana card, Marseilles Tarot.